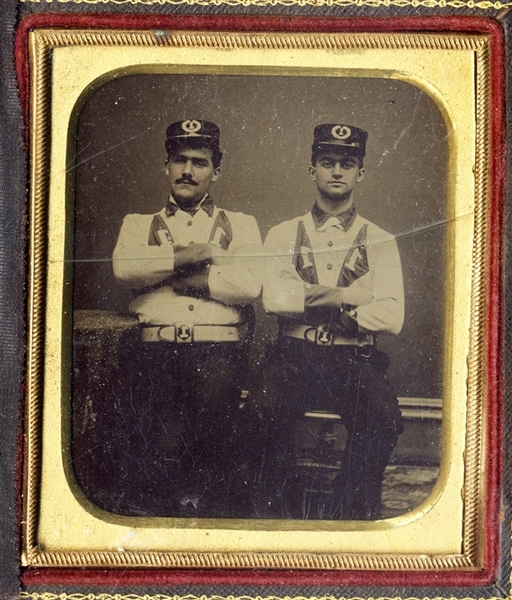 A 1/6th plate tintype of two ubiformed fireman, fancy vests, white belts, high collar shirts and caps. sharp focus, strong contrast, nice image. Presented in split case, glass craccked.